There’s a saying that the low points can make the glory days taste all the more sweeter, and if you ask any Hull FC fan who went through the rise, and fall, and rise again of the Boulevard club in the 70s, I’m sure they’ll agree with you. It got so bad at Hull that at one stage, just 976 people turned up for a game against Huyton, but the significance of that record low gate is telling. Everyone remembers it and everyone claims they were there, but what it did do was in some way spark a revival that saw arguably the greatest era in our history. Pessimists, with good reason, thought the club would never recover from the doldrums of that decade. Fortunately though we did but it wasn’t without help from an organisation, an organisation who’s 40th anniversary has been celebrated this month. The Vice Presidents Association were huge in changing around the fortunes of Hull FC. They paid an outright fee to sign Steve Norton, one of our greatest ever players, to the club, and from that our fortunes just bettered and bettered. 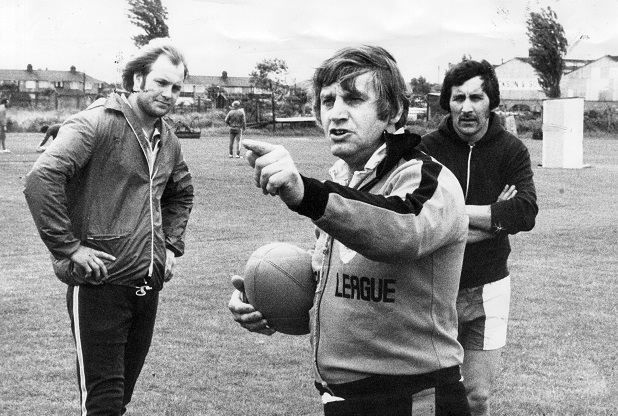 We had a coach in Arthur Bunting who everyone believed in, and his signings, such as Vince Farrar, laid a platform for the future, a future adorned with silverware. Though for that to happen, the club had to get itself out of the old second division, and they did that in record style—winning all 26 games which is a feat still to be matched to the present day. In that side we had workhorses. Players that did all the ugly stuff and were prepared to go that extra mile for the cause. Then of course there were away trips to the likes of Bramley, Whitehaven and the like. The season actually kicked off at Bramley with a narrow win, then we demolished the 2016 Challenge Cup giant killers Oldham, (still laughing) 61-10 in a game where Sammy Lloyd equally the club record for goals in a game. He nailed 14 attempts that day. The record had stood since 1921 when Jim Kennedy set it against Rochdale. 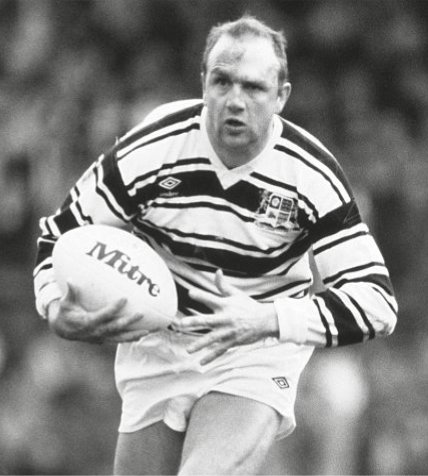 Lloyd in fact went on to attain the club’s record for total goals kicked in a season with a massive total of 170, which is unlikely to be beaten, not even by goal kicking supremo Marc Sneyd. Sammy Lloyd speaking in 2009: “It was something special, unique and packed with drama. We were under so much pressure. 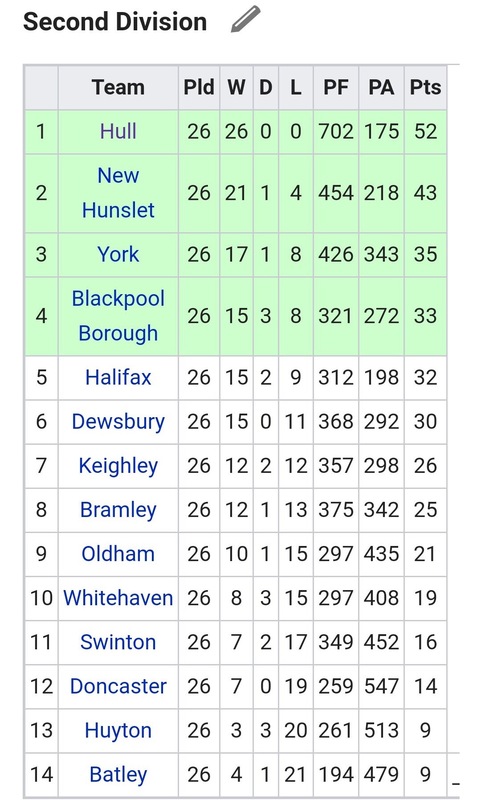 Not because of promotion, we’d already got that, but because we could create Rugby League history by winning every league game we played. “All the boys were aware of how massive that was and the fact you don’t get a second chance – a defeat or draw and that would have been it. “t showed in our performance because we were tense and nervy and struggled to produce the form we had shown in winning the other 25 games. But the key was we had to class and quality to dig our way out of trouble and come up with the goods when it mattered. Hull had some tight results in that season and it wasn’t all plain sailing. 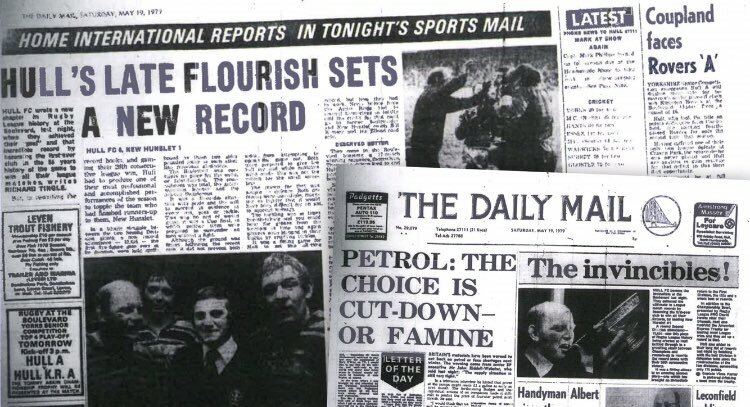 We were seen as “the team to beat” in that league and a couple of sides even transferred their home games to the Boulevard to get more revenue, such was the rise of our support. Batley were one of those clubs and the game was played on an ice rink never mind a rugby league pitch. Winter rugby indeed. It made the annual pre-season trip to Doncaster seem like a warm tropical afternoon. We won too, 20-0 I believe. Tighter battles followed. We edged Blackpool 14-13 at the Boulevard, scraped past Bramley 8-5 and in our penultimate game at Oldham, a clash at the old Watersheddings ground which lived up to its billing. Arthur Bunting speaking in 1979: “Our aim is to win all twenty-six matches and I want nothing to take the players mind off the job to be done. “Making presentations before the kick-off relaxes the players too much. 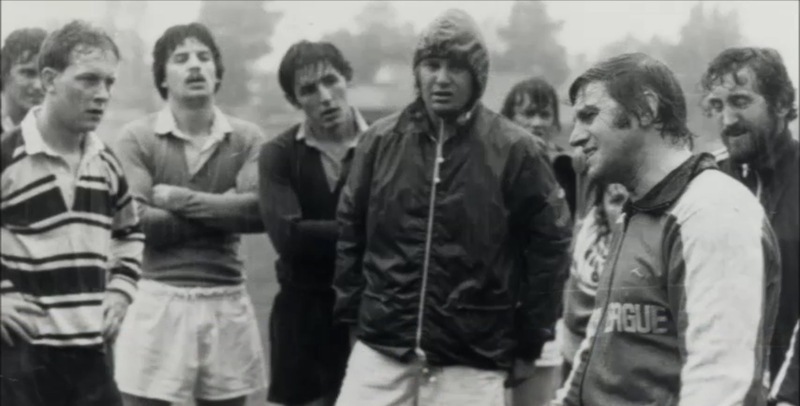 I remember I was coach of Hull Kingston Rovers in 1975 when Huddersfield piped us to the Division Two title. We played them in a Premiership match and after they had gone round with the championship trophy, we thrashed them. I don’t want that to happen today. The players have worked too hard building this record to let it slip now. The final game was on a Friday night against Hunslet and it was our chance to get our name printed in the Guinness Book of World Records. The Boulevard was packed and I stood in the Threepenny with my brother Terry. I had just turned 20 years old and the fisherman were more accepting of me standing in “their territory”. I remember the game vividly. Norton kicked a drop goal for a 1-0 half time lead. Hunslet were dogged and defended like a set of Bulldogs. They levelled with their own one pointer before Charlie Stone of all people scored the only try of the game. This proved to be enough and sealed the 26th win of a historic year, a year that captivated us all, and the 12,000 or so people that packed into the Boulevard. Although not a major trophy or so to speak, that day ranks right up there as one of the best in my time as a fan, as for eight or nine months, we were the kings. No-one could knock us off our perch and we entered the first division a few months later as a force to be reckoned with. Like that game against Huyton, everyone wanted to say they witnessed apiece of history, they wanted to say, ‘I was there when Hull won all 26 league games’. It was a unique occasion, and one that has never been repeated. *This article first appeared in Issue 45 of the Up the Cream Fanzine. For more like it, why not subscribe today by clicking here? The home of Hull FC opinion, wit, satire and general bellendary.